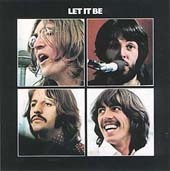 The Beatles "Let It Be"
All thru' the day I me mine, I me mine, I me mine. All thru' the night I me mine, I me mine, I me mine. All I can hear I me mine, I me mine, I me mine. Even those tears I me mine, I me mine, I me mine. All thru' your life I me mine. I'm living ev'ry moment girl for you.